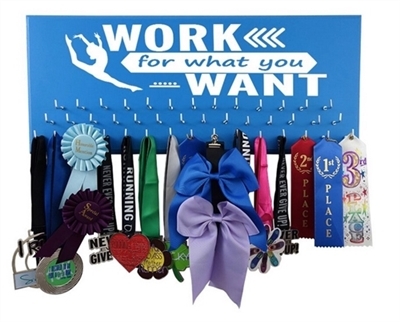 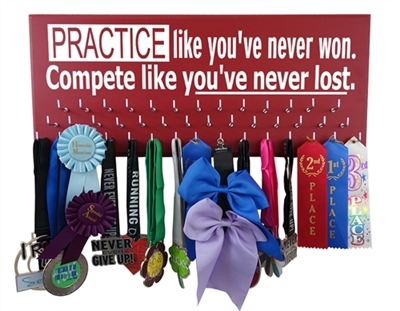 Gymnastics Ribbons Holder - Work for what you want. 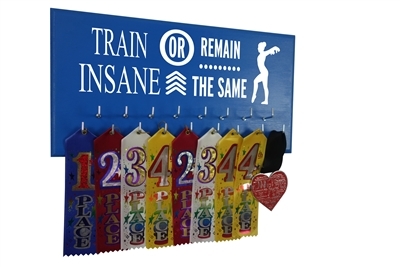 Gymnastics medals display - Train insane or remain the same! 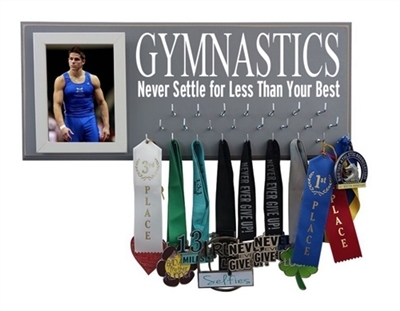 Our gymnastics shop was created to fulfill the desire from any gymnast to display their medals, ribbons or awards in style on the wall. 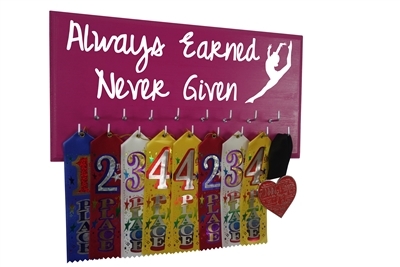 Our gymnastics medal holder are not that usual piece of gymnastics equipment and they make a flawless surprise gift for every gymnast. 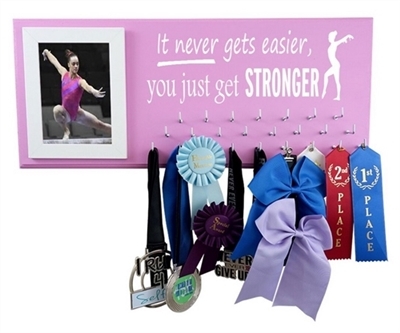 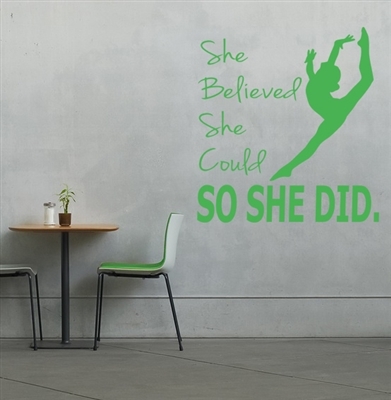 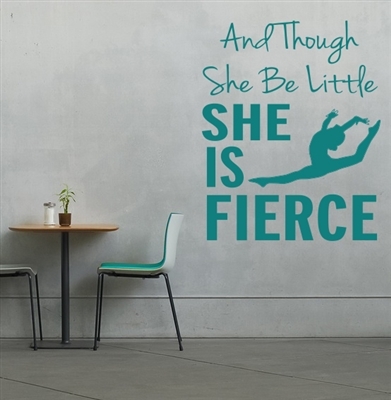 Shop now at gymnastics on the wall and find your perfect gymnastics gift.